Look up at the super blue blood full moon – here’s what you’ll see and why. On top of it all, the Jan. 31 full moon is also a considered a blue moon. There are two different definitions of blue moon. The first is any time a second full moon occurs in a single month. Since there are 29.5 days between two full moons, we usually only end up with one per month. With most months longer than 29.5 days, it occasionally works out that we have two full moons. We already had one on the first of this month and our second will be Jan. 31, making it a blue moon. With this definition our next blue moon is in March, leaving February with no full moon this year. 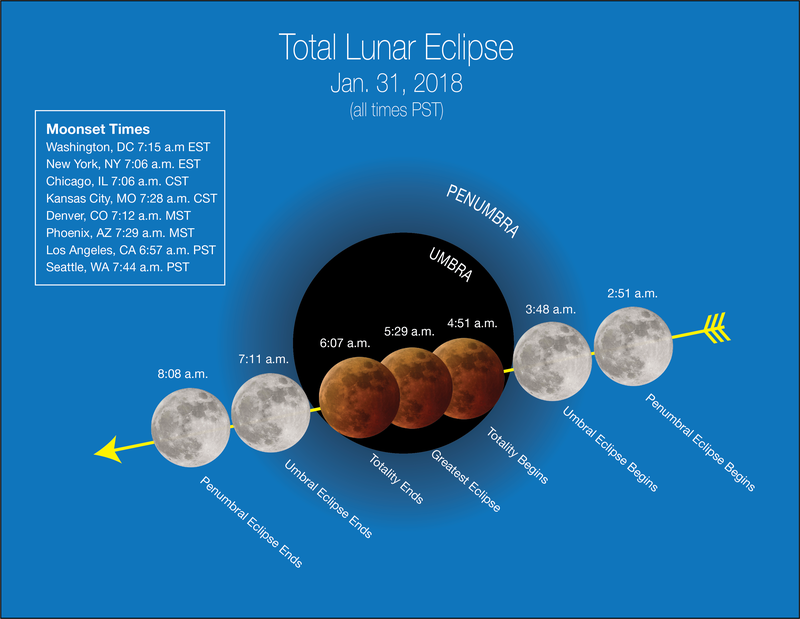 This happened with our full moon earlier this month on Jan. 1 and will again on Jan. 31. Its proximity makes it seem a little bit bigger and brighter than usual, but that’s the extent of its effects on Earth. The distinction is usually hard to notice unless you’re looking at two pictures side by side.